Are you having trouble with acne? 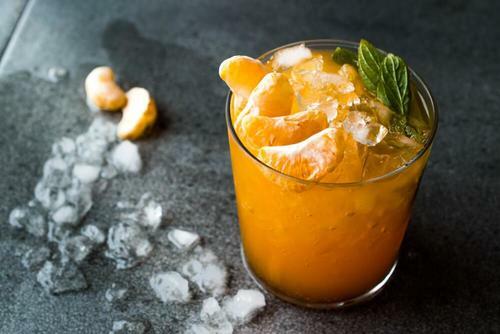 If so, you probably need to detox your body to fight acne. Pick any of these smoothies and consume them as part of your skincare routine. Amazingly, detox smoothies can be an awesome way to fight acne. Acne is the formation of pimples and blackheads. These are made up of oil, dead skin cells, and other impurities retained in your skin. It’s often hormonal. However, it’s also associated with your genes, eating habits, and changes in the activity of your oil glands. You usually see it in the “T zone.” However, it may also appear on your arms, back, and other areas of your body. Fortunately, acne isn’t a serious health issue. Most of the time, it can be kept under control by changing some habits and using certain treatments. The problem is that most people stop at topical treatments. They’re often unaware that you need to detox your body if you want to fight it and keep it from coming back. 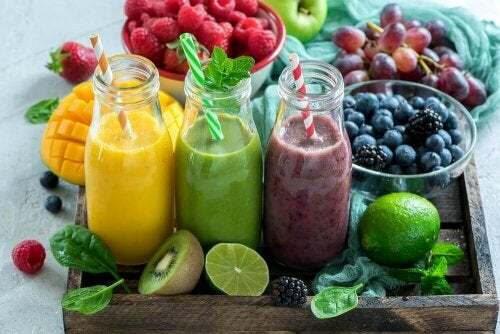 That’s why today we’d like to share 5 smoothies made with natural ingredients that contain nutrients with the ability to cleanse your skin and help control acne from the inside out. 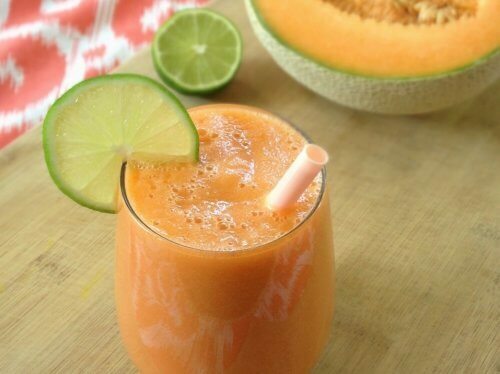 Melon is a detoxifying fruit that helps remove toxins from your blood. Thus, it helps get rid of acne. Add it to the minerals in coconut water and you get a refreshing smoothie that’s perfect for keeping your skin healthy and young. Cut the melon up and process it in a blender along with the coconut water. Have the smoothie first thing in the morning for at least 7 days straight. High in antioxidants and fiber, this detox smoothie is a great way to cleanse your blood and help with acne. The ingredients act as anti-inflammatory and diuretic agents, stimulating your circulation and keeping your skin nourished and young. Make dandelion tea with the cup of water. Once chilled, process it along with the apple (previously peeled) and the beet. Make sure all lumps are gone and it is well-mixed. Drink the smoothie first thing in the morning for 7 to 10 days in a row. 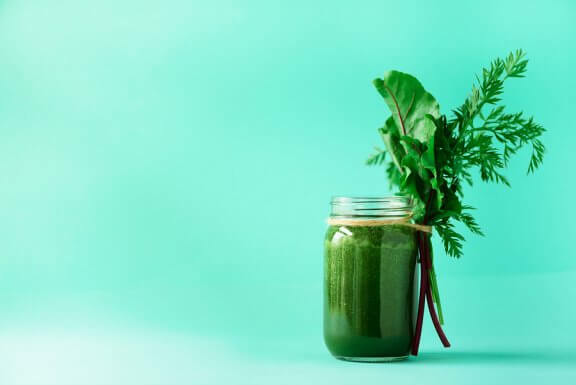 Bringing together multiple antioxidant-rich ingredients, this smoothie is an excellent way to fight acne from the inside out. It helps remove toxins that affect your skin while enhancing cellular oxygenation. Add all of the ingredients to a blender and process until well-mixed. Have the smoothie first thing in the morning for 2 or 3 days straight. This refreshing watermelon apple smoothie will give your skin a boost of antioxidants and fiber and promote its detoxification. It’s perfect for lowering excessive oil production and shrinking your pores. Cut the watermelon and green apple up. Then, process in a blender along with the water. 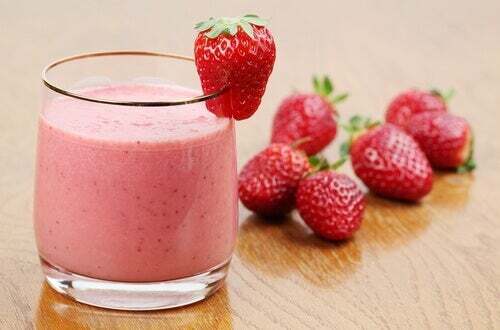 Drink the smoothie first thing in the morning at least 3 times a week. 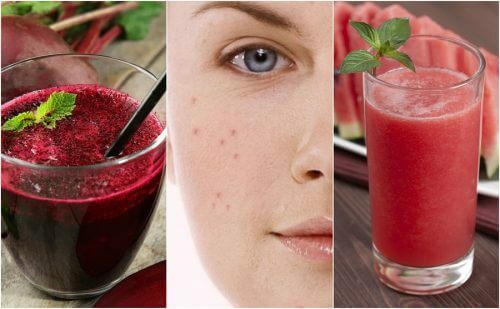 Low in calories and high in antioxidants, this natural smoothie is a great way to treat acne. It lowers any excessive oil production. Plus, since it removes toxins, it also improves your circulation and your body’s cellular oxygenation processes. Cut the ingredients into smaller pieces and add them to a blender along with the water. Process on high speed until well-mixed. 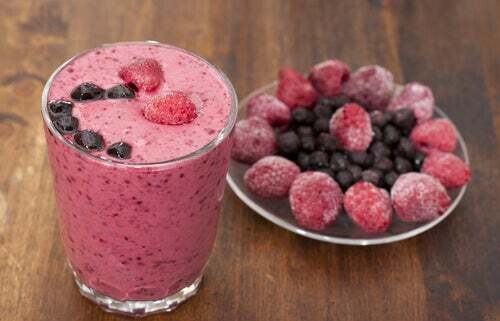 Have the smoothie first thing in the morning or with breakfast.